I posted this piece in the beginning of 2011. It was a statement about what I wanted to see and do that year. It was really fun to make! 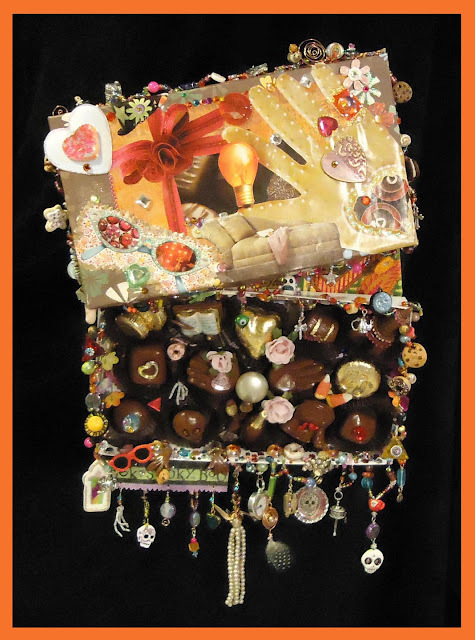 If you made a chocolate box to represent what you want from 2013, what would be in it? Click here to see details and explanations of my symbols. I'm in love with making chocolate box art. I started this in December and have added on steadily. It's all about this year. What do I want to invite into my life this year? Oh, romance, travel, adventure, prosperity, the usual. It's going to be a delicious year! What does your year look like?